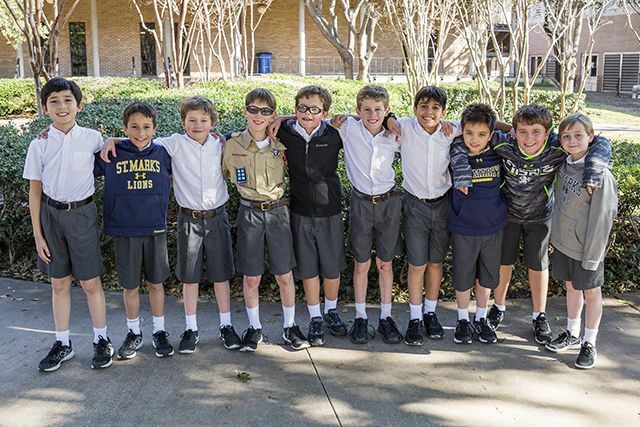 The fourth grade class is making headlines for finishing first nationally in their division of the 2015–2016 WordMaster Challenge. They even drew the attention of KERA reporter Courtney Collins, who produced a radio story on the class. Fourth grade teachers Lynn Terman and Janet Watkins have found a unique way of getting boys excited about vocabulary, as students often cheer when they find one of their WordMasters words in books or assignments. Rather than studying lengthy pages of vocabulary, WordMasters asks students to master about 75 words, learning their parts of speech, multiple definitions, and comprehending context. The WordMasters Challenge is a national competition for students in grades 3-8 that encourages growth in vocabulary and verbal reasoning. Each year, more than 125,000 students throughout the United State participate. 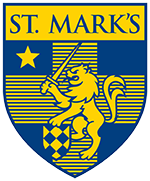 This marks the second consecutive year that St. Mark’s fourth grade class has placed first nationally in their division. You can read and hear KERA’s full story here. The 10 fourth graders who earned perfect scores on the first WordMasters test, out of only 50 perfect scorers in the nation.